Friday food is a weekly article about one of the more unusual food items to be found in Liuzhou that week. This Friday we are looking at douban jiang. Cards on the table. My two favourite regions for Chinese food are Hunan and Sichuan. With very few exceptions, I find a lot of other Chinese food to be rather bland, especially Cantonese. All style and no substance. The paste is deep red in colour and has a rich, spicy taste. 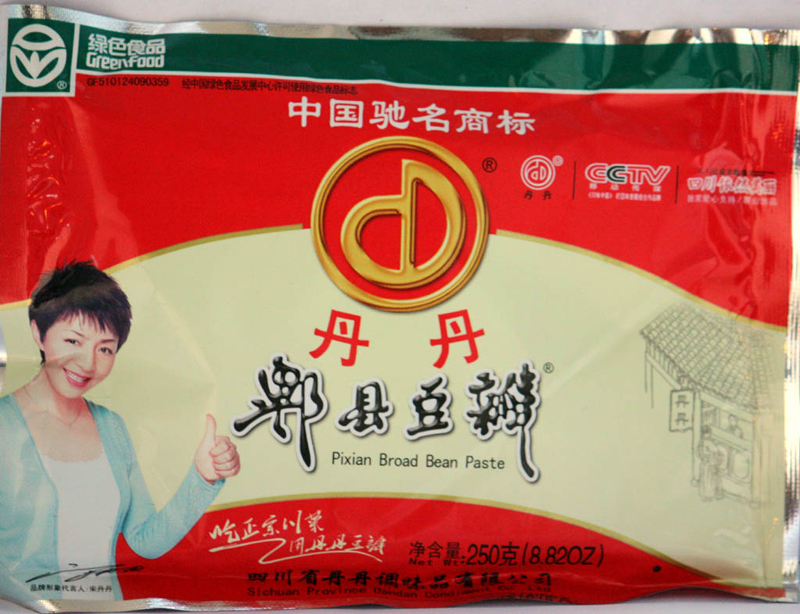 The best douban jiang is said to be Pixian douban jiang (郫县豆瓣酱), made in the town of Pixian, Sichuan. A mere ¥3.50 for 250g. Cheaper varieties use soy beans, but these are considered inferior. Lianhua supermarkets do a fresh soy bean version, but if you can track down the Pixian version, it is much better. It can be found in supermarkets and some of the speciality shops listed here. I’d avoid the overpriced and inferior bottled varieties made by multinationals such as Lee Kum Kee. The sauce is used in stir fries, over noodles and in hotpot bases. It has a particular affinity with fish and tofu.
. This entry was posted on Friday, January 4th, 2013 at 7:00 am	and is filed under Food and Drink, Friday Food. You can follow any responses to this entry through the RSS 2.0 feed. Both comments and pings are currently closed. I agree. Most Cantonese food is just plain awful ,and that snail soup crap! .. …..well that’s enough. I love dumplings or potstickers as we used to call them back in Seattle. When we were in Nanjing there were plenty of dumpling shops. In Liuzhou it appears good dumpling shops are hard to find. That said, I’ve luckily found a small dumpling cafe in a small market area south of the Liugong Factory. Well, I like the snail soup crap and so have most foreigners I have met in Liuzhou over the years. There are a few good dumpling places. My favourite is the Harbin Jiaozi place which I have mentioned several times. I can think of a couple more which are nearly as good.